Former Cardinal Aaron Miles tripled in the tying run off closer Fernando Salas, then scored the winning run on a grounder in the ninth inning to help the Los Angeles Dodgers to a come from behind 2-1 win Monday night at Busch Stadium. 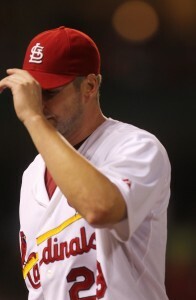 Chris Carpenter left in the ninth after giving up a single and turned the game over to the bullpen. Lefty Arthur Rhodes got a strikeout on Andre Eithier, but Salas gave up a full count triple to Miles who drove the ball in a gap between right and center. Jason Motte came in and with a drawn in infield, got Rod Barajas to ground sharply to Rafael Furcal whose hurried throw got past Yadier Molina allowing Miles to score. One of the runs was charged to Carpenter who allowed five hits and one walk while striking out seven. Salas picked up his fifth loss and fifth blown save. The Cardinals offense didn’t do much to help out Carpenter. The lone Redbirds run came in the second on Lance Berkman’s 29th homer of the season. 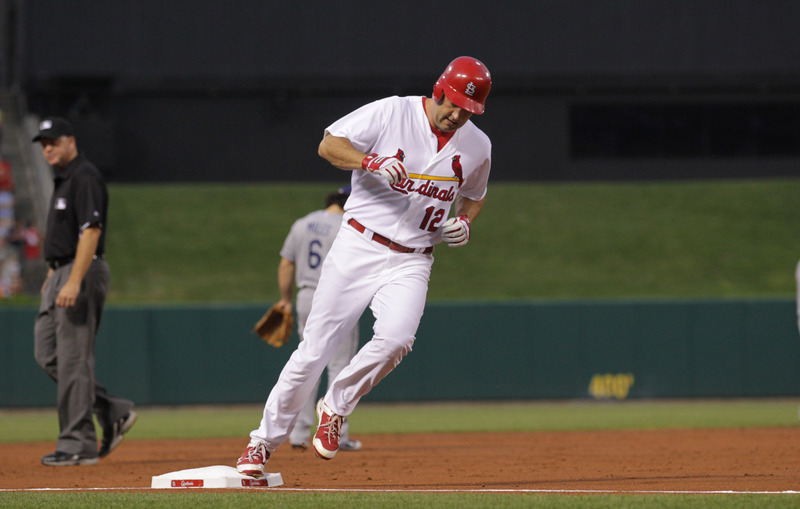 In the ninth, Albert Pujols popped up, but the Berkman and Matt Holliday were out of the lineup. Tony LaRussa replaced Berkman in right for a defensive sub and Holliday left the game in the eighth inning when a moth flew into his ear…no joke.